A Reprieve from Wine, Let’s Talk Cocktails! Ok, VS Readers. Let’s take a short reprieve from wine (don’t worry – it will be worth it) and talk cocktails. 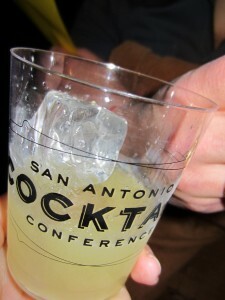 I had an excellent time attending the Inaugural San Antonio Cocktail Conference this weekend. 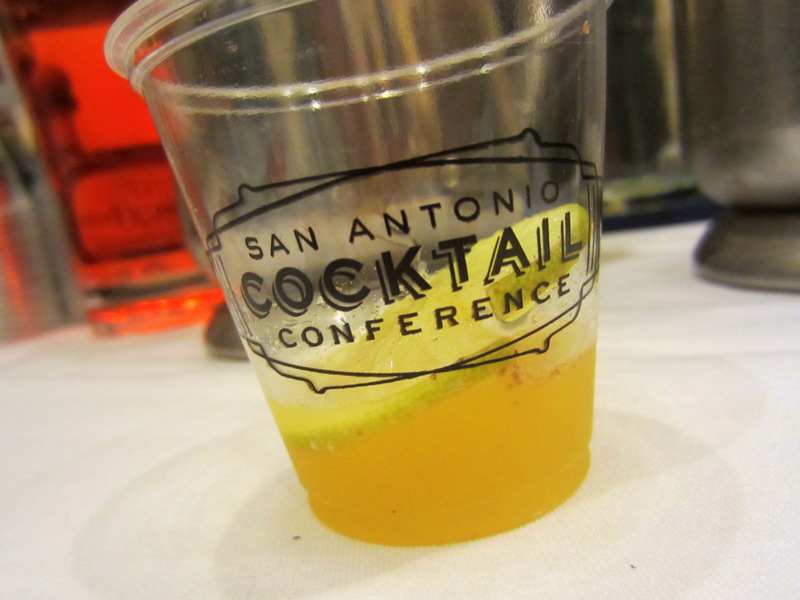 The weekend included master mixologists from around the nation, hundreds of participants and spectators with the proceeds from the weekend going to HeartGift San Antonio. Friday Night started off with a Soiree in which river barges served as taxis to and from participating bars. Stops included the Tropicano Hotel Bar, SoHo and OCHO. As a dedicated oenophile, I will admit I was lost within the masses of liquor, not quite sure what to expect of the libations I was to encounter over the weekend. 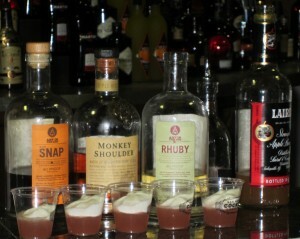 I was delighted to enjoy cocktails made with the finest ingredients. My favorites of Friday night were the Cinco Vodka cocktail at SoHo made with jalapeno foam on top – a bit of sweet and spice made this cocktail highly enjoyable. 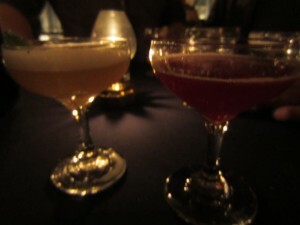 At OCHO, my favorites were the Hemingway and a special version of the Mojito, made with dark rum and topped with Champagne. Saturday was jam-packed with classes, none of which I attended, but it was fun to see and hear from others who participated. 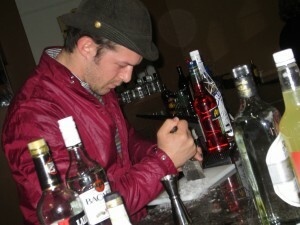 Zach from NYC (Dutch Kills Bar) taught a class on ice. You can call him the ultimate ice master when you see him. 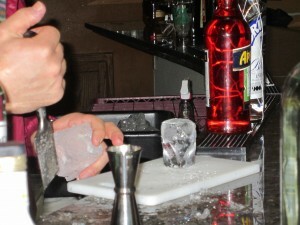 He also participated in the Cocktail Competition later that afternoon and carved ice into a lovely jewel for his “Forget Me Not” drink. 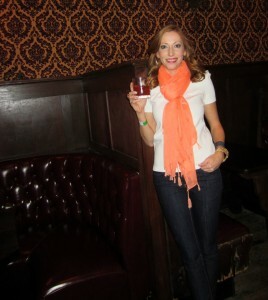 Sasha from NYC (Milk and Honey) was also fluttering amongst all the festivities of the weekend. 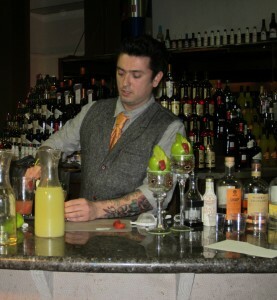 He is the almighty one who has trained San Antonio’s best mixologists. 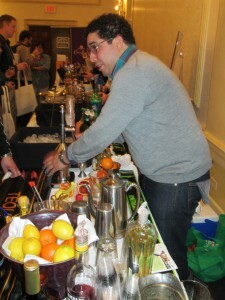 Being a spectator at the Cocktail Competition proved to be quite fun. 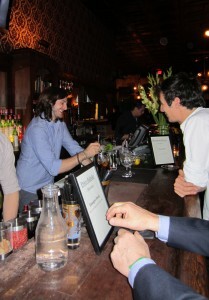 The art of the cocktail was in full force as 24 bartenders went head-to-head. The judges panel included Tanji Patton, the guitar player from Journey (yes, you heard me! ), Ursula Pari among others. This gentleman made quite a fancy cocktail. Seems like the consumer of this libation must be doning an amazing sun hat with a shiffon cover up and sitting pool side. Indeed, yes. Here we are enjoying the show and chatting it up with all the competitors. 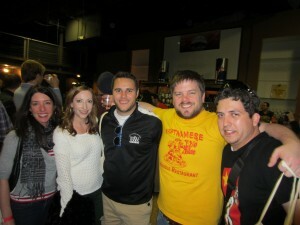 We also enjoyed the Tasting Room Saturday afternoon. 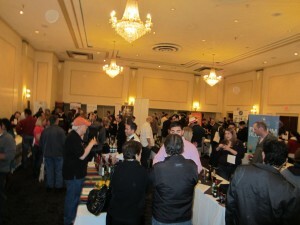 A room full of samplings and libations! It’s now Saturday evening and time to gear up the last Soiree at Esquire Tavern. 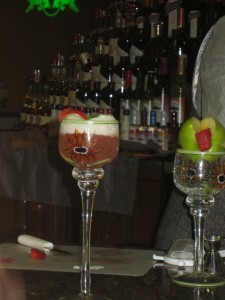 Upon walking in the door, you are immediately immersed in cocktail heaven, as bartenders from all over are serving up their special concoctions. Guests had over 14 drinks to choose from – quite a feat. I managed to try maybe 5. 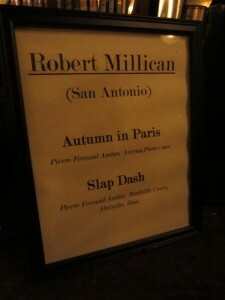 My ultimate favorite was by Robert Millican – the Slap Dash! Made with Pierre Ferrand Ambre, Mathilde Cassis, Absinthe and Lime. Delish!! You can find Robert at Drew’s in San Antonio. Sunday has now arrived and I enjoyed brunch sponsored by Cinco Vodka. I had at least 4 egg and cheese tacos and enjoyed chatting with the industry peeps. I couldn’t help but acknowledge that I actually learned a lot and that I survived a weekend with essentially no wine! My horizons have expanded and I can now say I have a few favorite cocktails. It was fun to meet great people and support a great charity. I will definitely attend in 2013. 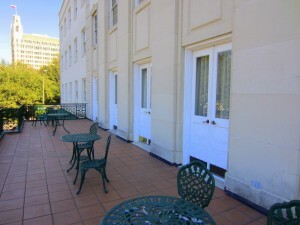 I also recommend making a staycation out of it – that’s exactly what we did, and it was uber-enjoyable. We parked the car at the hotel and never used it again over the weekend. I love Downtown San Antonio and the walkable urbanism it exudes. A group of us even enjoyed a game or two of Bocce Ball in Travis Park after brunch. Heaven! So, here’s to a successful conference, great people, and great fun! Cheers! Previous Previous post: Vinously Speaking’s 200th Post! Next Next post: Sustenio Makes its Debut!